As I’m sure you are familiar, there are some pretty fun commercials that happen during the Super Bowl. Oftentimes, these commercials are for candy bars. If that phenomenon occurs tonight, check back on this post for real-time analysis and reviews. And I’m still too upset to root for anything with my heart, but I can root with my bank account, and a Patriot victory would settle a few bets for me. So go New England, I guess. I’m not going to make a ball-deflating joke. 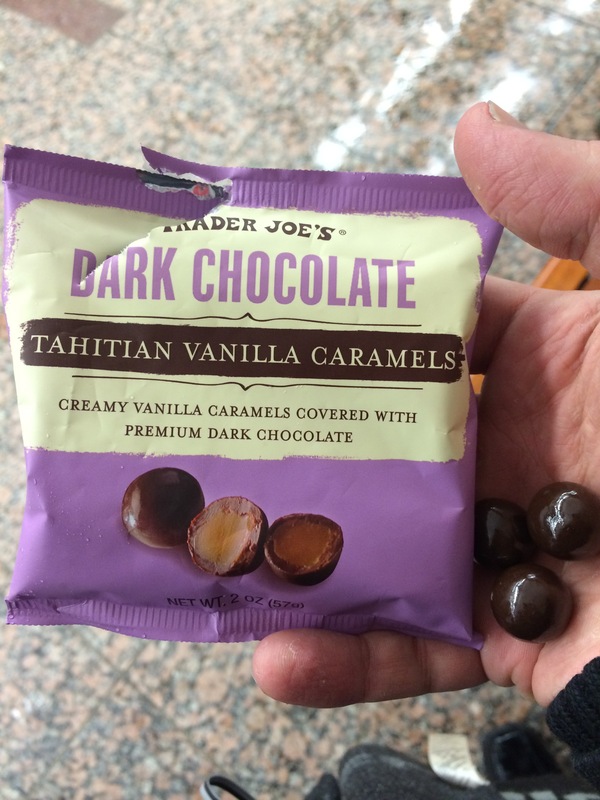 – There will be a Trader Joe’s candy post next week, but let me just say that these caramel things are phenomenal. 5:53 PM: No candy bar commercials yet, but the room would just like to note that it is the year 2015 and we’re still using Lit as intro/outro music. 5:54 PM: (Snickers) “An eye for an eye, that’s what Dad always says.” Danny Trejo and Steve Buscemi, plus the fantastic digital effects. Best commercial of the night thus far, Snickers. 5:59 PM: (Skittles) Settle the Rainbow, Taste the Rainbow. That was funny, but unsettling. A good visual gag, but really without a punchline. 6:04 PM: (Budweiser) Not a candy bar, but remember that Budweiser commercial last year with the puppy that made everyone cry last year? That one didn’t happen this year. 6:50 PM: I’m still reeling from that horrible Nationwide commercial. 8:19 PM: I wish Loctite was a candy bar so I could justify talking more about how great that was. 9:05 PM: Game over. Can’t say I feel bad for Pete Carroll at all.